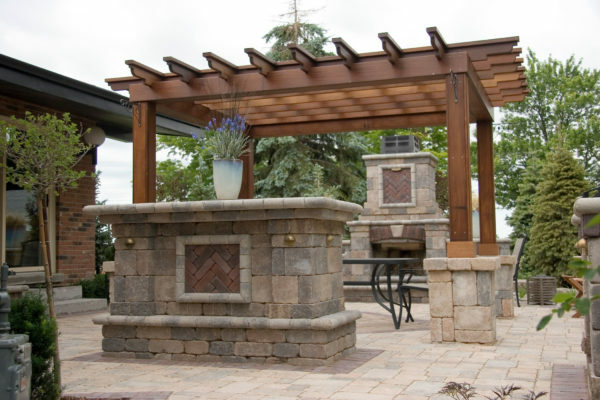 Outdoor Kitchens & Fireplaces - Bellaire Landscape Inc.
Bellaire Landscape’s custom built outdoor kitchens are a great way to extend the living and entertaining space of your home to the outdoors. Outdoor kitchens allow you to revel in the pleasures of nature with alfresco dining and enjoy the incomparable flavour of outdoor cooking. The versatility of our designs and the possible use of various different materials to create your kitchen allow us to make your backyard into your own personal resort destination. Add a charming outdoor fireplace as a focal point to your outdoor living area in just minutes with no complicated or costly installation. Bellaire Landscape has professional landscape architects that want to create beautiful and functional modular hardscape elements that enhance your outdoor living spaces. 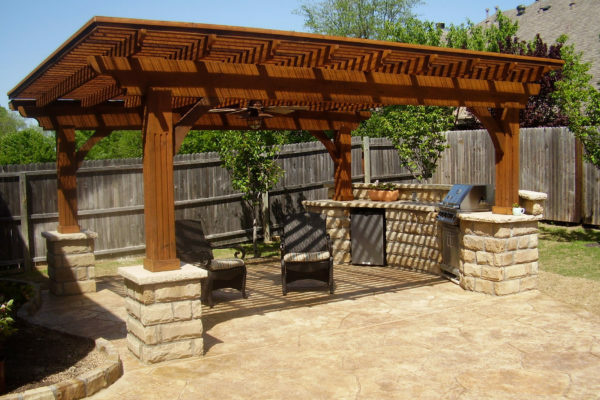 We provide items such as outdoor fireplaces, outdoor kitchens, and outdoor pizza ovens. Inspired by centuries old masonry techniques and old world craftsmanship, we are now resurrecting those classic styles with a contemporary twist. What was once old is now new again! 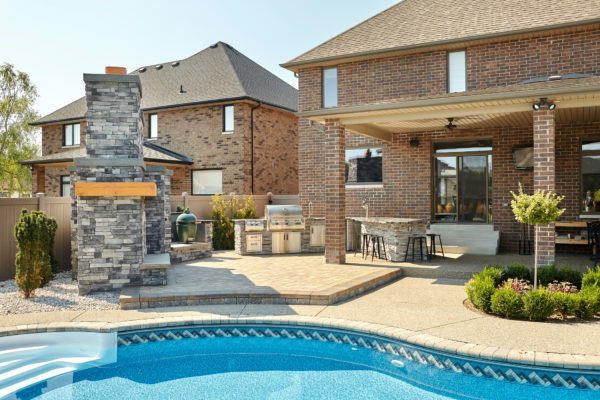 Outdoor fireplaces, outdoor kitchen grill islands, bars and seat walls are just a few of the almost endless possibilities that can be added to your home to create the one-of-a-kind outdoor space you’ve always dreamed of!